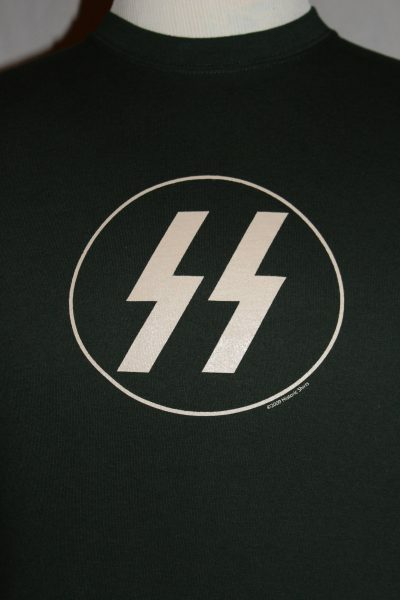 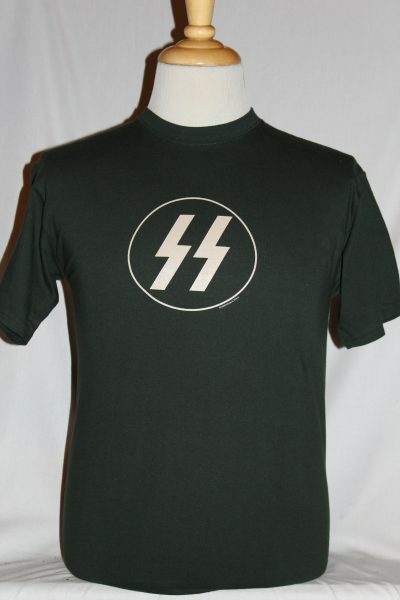 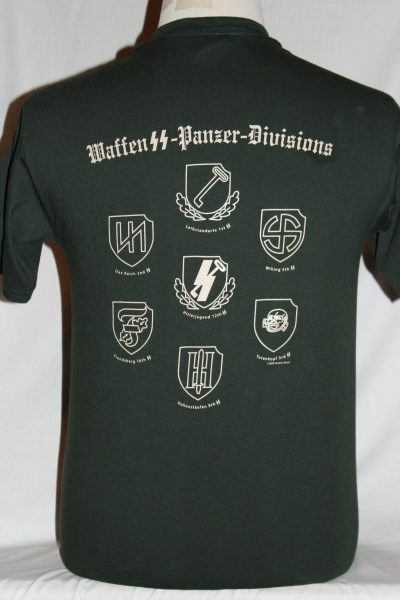 The Waffen SS Panzer Division SS Runes T-shirt shirt is a two sided print in black. Front Design: Circled SS Runes screened in silver. 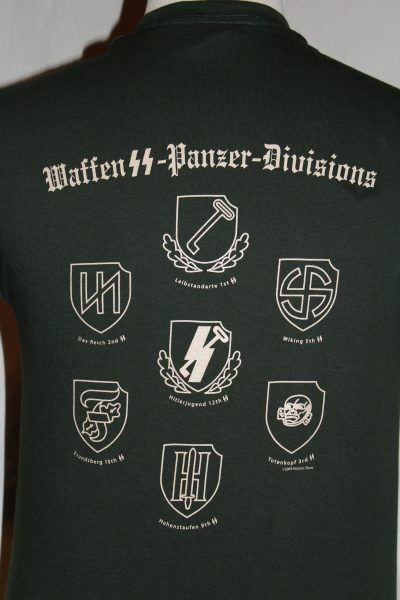 Back Design: Seven SS Panzer Division Insignia's with text screened in silver.